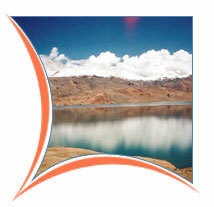 From domestic airport in Delhi for your trans-Himalayan flight to Leh. 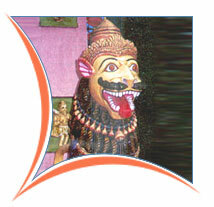 Upon arrival, you will be met by our company Executive, and transferred to your hotel. We recommend you relax and undergo minimal exertion to enable your selves acclimatize to rarefied air of this remote region ensconced in the high Himalayan plateau. In the evening, you will gather for dinner and meet with your guide. Full day sightseeing of Thiksey, Shey & Shankar monasteries. The Great monastery of Thiksey towers on a steep rocks at the periphery of an oasis on the right bank of the Indus. This monastery belongs to Elugpa order (Yellow sect). The layout of the monastery complex resembles the Potala palace in Lhasa. Shey : the Shey palace also known as Khar Chung was built by Senge Namgyal in the beginning of the 17th century. It was erected on the ruins of an already existing castle. Shey monastery belongs to red hat order. Shankar: this monastery belongs to Gelugpa order (Yellow sect) and was founded by the last Skushog Bakula as a branch monastery of Spituk during the turn of the century. Leave after breakfast 5/6 hours drive (120 Kms) will take you to Nubra Valley, passing through Gangles villages the road than rises to reach Khardongla pass ( 5600 Mtrs) the worlds highest motorable road. The road then passes through a bridge laid on Glacier, which finds its way in Guiness book of world records. Check in at Camping and lunch at Camp. Afternoon short drive will take you to Panamic, which is famous for its hot sulphur spring. In the evening return back to the Camp. Dinner and overnight at Hotel. Hemis Monastery: This is biggest and the most important monastery in Ladakh. It was built in the 17th century by Chapgon Gyalshas and ever since has enjoyed the patronage of the royal family. 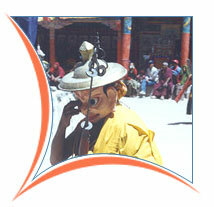 Hemis is the headquarter of the Drukpa order and all the monasteries throughout Ladakh are administered by it. It also trains Lamas for the royal monasteries at Leh, Sh ey and Bazgo. The Monastery contains gold statues and stupas decorated with precious stones and many priceless old Thankas. 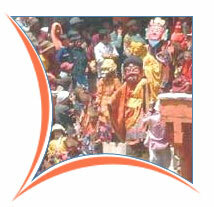 Each year the Hemis Festival attracts more than its share of pilgrims & tourists. Held during the full moon in June, is a series of colourful masked dances performed to the accompaniment of cymbals, drums & long horns. Return back to Leh for overnight stay at Hotel. Phyang : lies away from Indus to the far right at the ridge between Nimu & Leh. Phyang belongs to red hat order and was founded in the 16th century by Kungda Grangs-Pa.
Spituk : the origins of which date back to the A.D 11th century, was built in its present form in the 15th century. Evening free to rest. Dinner & overnight at hotel. After breakfast we walk to Korzok village to visit the monastery which is 350 yrs old belonging to the Yellow Sectsand we can enjoy the spectacular view of the lake, then walk up to nomadic area. Overnight in Camps. Morning after breakfast, proceed for local sightseeing of Lamayuru. Explore villages around the area. Lamayuru is an beautiful, nature endowed, little hamlet. The gompa completely overshadows the village and is the most famous and spectacular monastery in Ladakh. On the way also visit the Alchi Monastery famous for the 1000-year old wall painting, which make this visit more than worthwhile. Return to hotel / Camp for dinner and overnight stay.